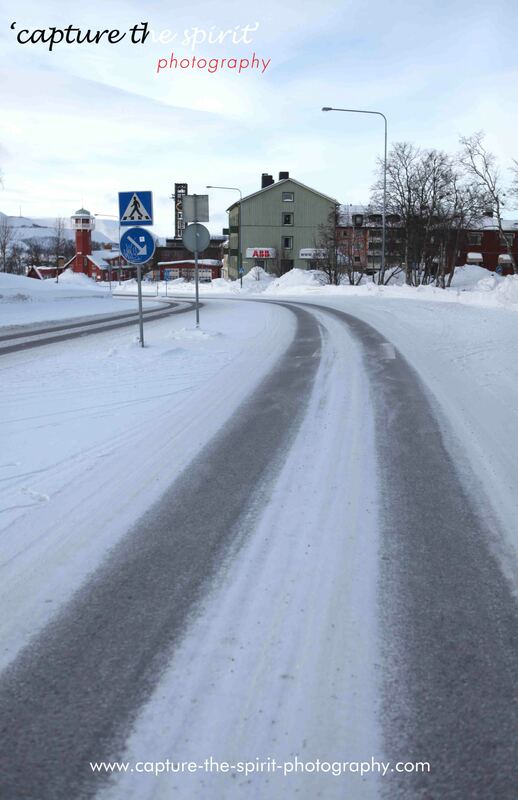 The town welcomed us with snowflakes and winds of sub-zero warmth. Carpets of snow-covered the trees, houses, cars; the entire landscape, but the road. I am from the tropics, so to me Kiruna, which was 145 kilometres north of Arctic Circle, was exotic, like a sunny white beach might be to some. Rising up from the stocky cubical structure, against the metallic grey horizon, was a skeletal clock; we were near the Town Hall of Sweden’s Northern Most City. Further away in the distance was Kirunavvara Mountain, with rock terraces that coiled down to earth’s bowels, towards world’s one of the largest iron reserves that was 4 km long, 80 m thick, and stretched to a depth of 2 km. Next to the Kirunavvara Mountain was Lossavaara Mountain that held a research mine and a ski slope. 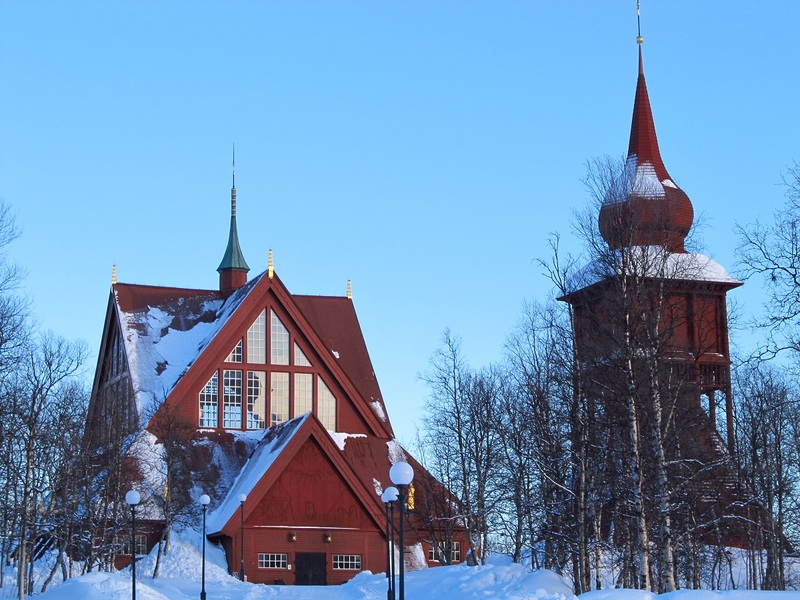 On the far end of the town was the wooden Kiruna Kyrka or Kiruna Church, built-in Neo-Gothic style. 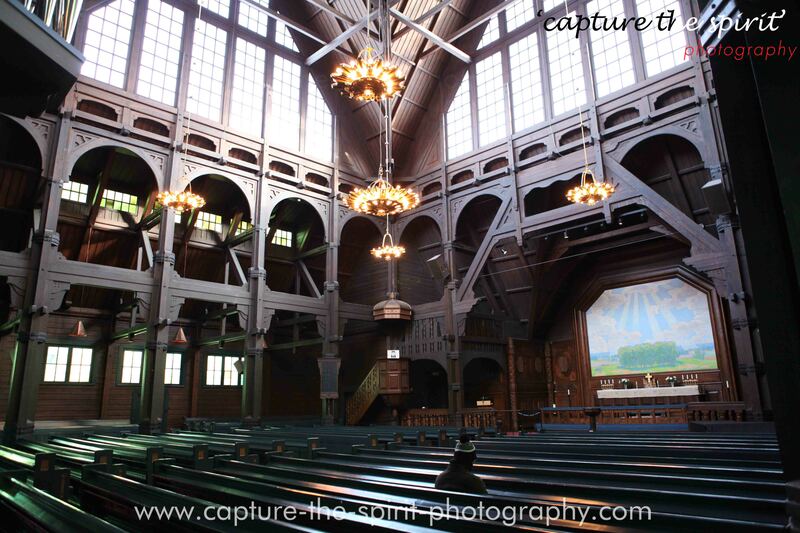 Consecrated in 1912, the Falun red building was voted as Sweden’s most beautiful building in 2002. Twelve gilded, 2 metres high bronze, sculptures stood atop the northern, western, and southern slopes of the church. 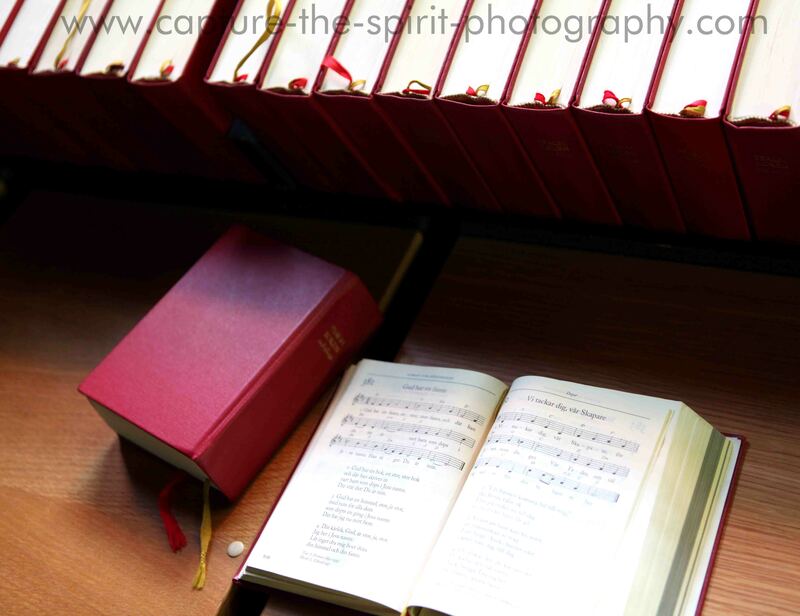 They denoted people in different states of mind – despair, shyness, arrogance, devotion, trust, inspiration, rapture, humility, love, sorrow, gloom and meditation. Standing guard opposite to the church, with a dome-shaped spire, was the wooden Church Bell Tower. Interestingly, the only cross present in these structures was at the main altar. 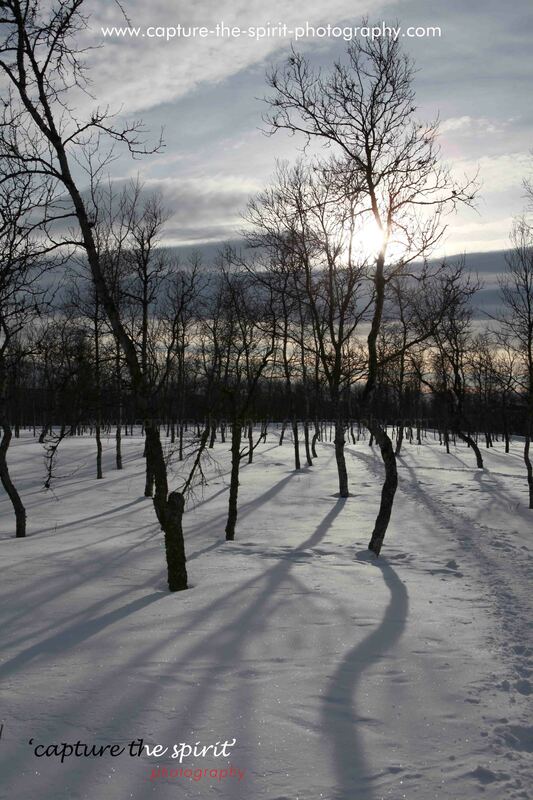 Behind the Church, trails in snow passed through the Church Forest, which consisted mainly of birch and rowan. The snow on the trails was compact and easy to walk-on, but the snow it cut across was loose and was like quick sand, not dangerous, but at least waist deep, enough to get into your snow pants. On seeing the locals walking their dogs in the forest, it I realised that the mutts were the culprits of yellowed snow found across the city; until then, I had blamed the poor boisterous teenagers. From the coffee shop of Scandic Ferrum Hotel, I sipped hot coffee and looked at Kirunavvara Mountain with its gashes and cracks smoothed with snow. The sight reminded me of Kintsugi, the Japanese art of repairing broken earthenware with gold. 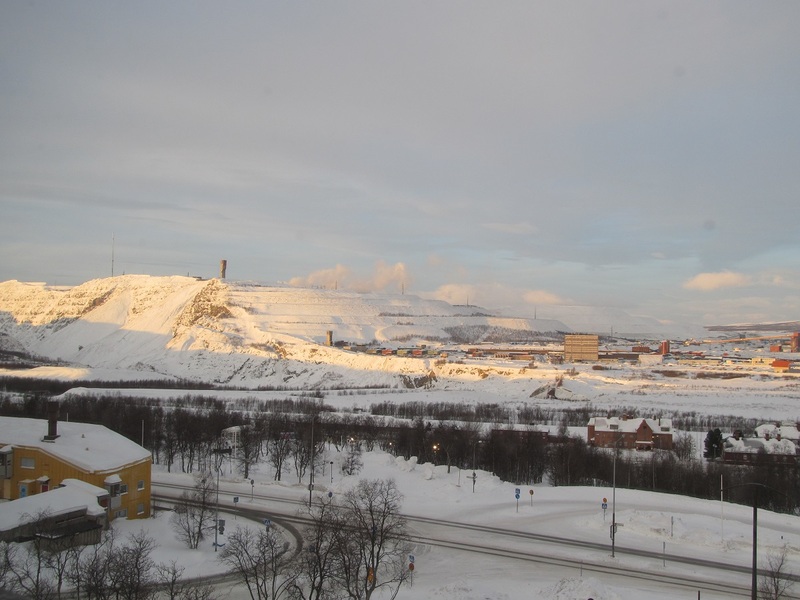 It was hard to fathom that Kiruna was a town in transit; expansion of its mine meant relocation of the city. 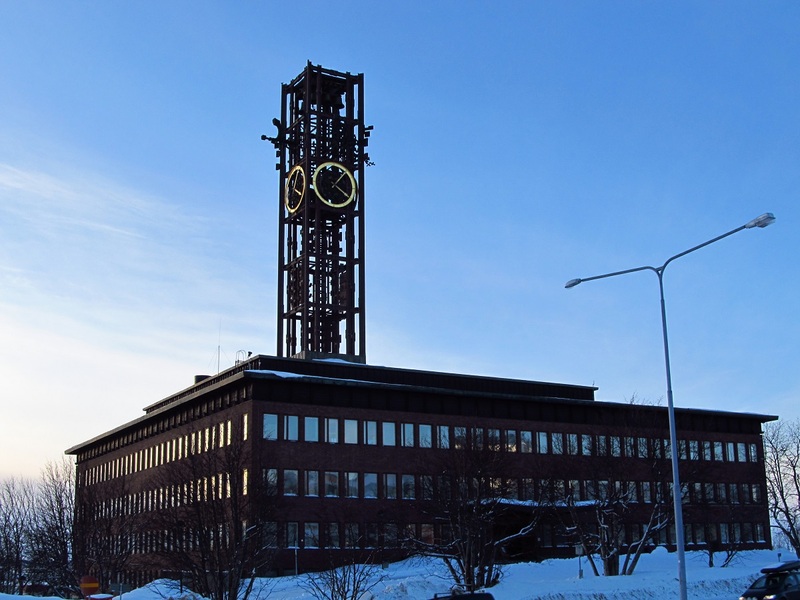 Most of the buildings will be abandoned and rebuilt, except two buildings; Kiruna Town Hall and Kiruna Church, which were the city’s heart and soul! P.S- I am thankful to Shannon Kretschemer (http://www.capture-the-spirit-photography.com/) for being my travel partner and sharing his images with me. 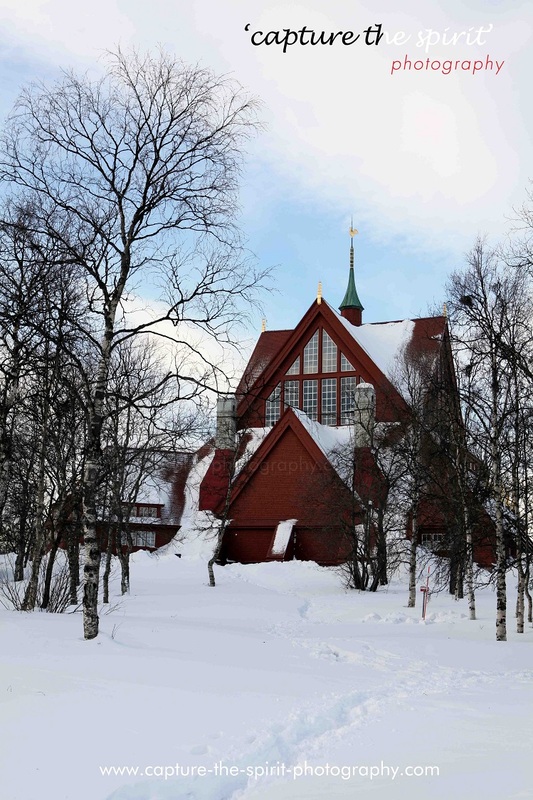 This entry was posted in Travel and tagged #arctic, #icehotel, #Jukkasjärvi, #kiruna, #KirunaChurch, #kyrka, #sweden. Bookmark the permalink. I’m from the wintery Midwest USA, so tropics sound nice. Gorgeous pictures, thanks for sharing. What an adventure! Ben, we always pine for what we don’t have. Thanks for appreciating the pictures. It was an adventure of my life; later in the trip, i saw the northern lights. Stay tuned to read about it. Thanks for your time.